Survival Horror. It is a genre of fear, of emotion, and of atmosphere. Of all video game genres, survival horror is one of the most plot-driven, setting characters in horrific locales with strange and twisted beings. It is also a genre that pulls heavily from other mediums, as many of the titles on this list can attest. The titles that follow shouldn’t surprise the reader: they are the titles that have formed and defined the genre and should be easily recognizable to fans of the genre. Here are the classics, the titles that any genre enthusiast should look into. Released in 1981, Haunted House for the Atari 2600 is one of the first survival horror games ever created, often considered the progenitor of the genre. 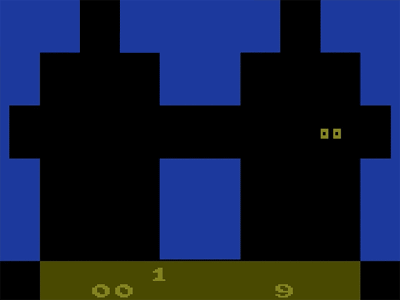 Programmed by James Andreasen for Atari Inc., it featured multiple levels and scrolling hallways with several rooms. Players were also treated to a lack of armaments beyond a magic scepter, which renders you immune to attacks, and limited inventory space which allowed the player to carry only one item at a time. This one item rule also applies to the scepter, so players are forced to roam the halls without protection in the game. In Haunted House, the nameless protagonist must collect pieces of urn spread throughout the mansion of the deceased Zachary Graves. But bats, spiders, and the ghost of Graves do their best to stand between you and victory, as does the environment: there are no lights in Graves’ house, so players must continually light matches to allow them a limited view of items around them. While the player has infinite matches, they don’t offer much in the way of illumination, and a creature wandering into the room will cause the match to go out, plunging the player into darkness. And if they connect, the player loses a life. Lose all nine lives and it’s game over. To add replayability, Haunted House features multiple difficulty levels. Go beyond the first, and the walls can no longer be seen without a match. 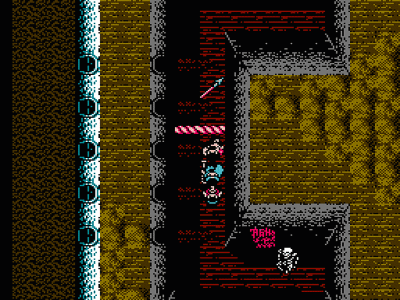 Enemies grow faster, learn to move through doors, and the layout of the house changes. At the highest level, the scepter loses its power against the ghost of Graves! Any horror fan with a 2600 should take the time to find this Atari classic. A remake from Atari is currently slated for PC, Wii, and Xbox Live Arcade in September 2010. Though not well known in the West due to its Japan-only release, Sweet Home (or Suīto Hōmu for you purists out there) was a Capcom horror-themed RPG released for the Famicom in 1989 to coincide with the film of the same name. It follows a team of five investigators, each with a different skill set that will help the group solve puzzles and survive. The team is checking out the secluded mansion of renowned and deceased painter Mamiya Ichirou, to examine several frescoes spread throughout the house. Once inside, they find themselves sealed in, and Mamiya’s ghost appears, threatening them with horrible death. Now they must escape, examine the frescoes, and discover the fate of an earlier group that wandered into the mansion. Sweet Home is a JRPG through and through: fights are randomly encountered turn-based battles, characters find various equipment and level up over time, and the player must navigate a limited inventory system to use items. But watch out: health items are limited, and if a character dies, they’re gone for good. Items can be found to replace a lost character, but you’re still down a party member. 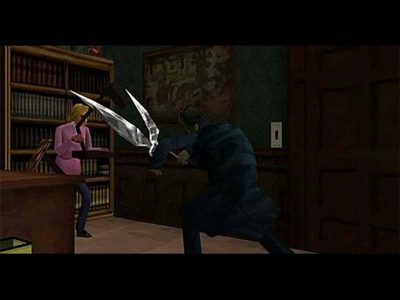 The Alone in the Dark series holds several important distinctions in survival horror and gaming history: its original title, released in 1992, was one of the first games to feature 3D characters moving over pre-rendered backgrounds with cinematic angles, a predecessor of Resident Evil’s graphical style and gameplay. It holds the Guinness Record for bring the first 3D survival horror title. It was the first survival horror to pull directly from H.P. Lovecraft’s Cthulhu mythos. And overall Alone in the Dark was the first major survival horror series to sink down the drain with sequels of considerably lesser quality than the original release. The Alone in the Dark games follow Edward Carnby, a middle-aged private investigator from the 1920s, who is initially hired to examine a piano located in the mansion of deceased artist Jeremy Hartwood. Players can also take control of Hartwood’s niece Emily Hartwood, who believes a secret suicide note from Jeremy is hidden in the piano. 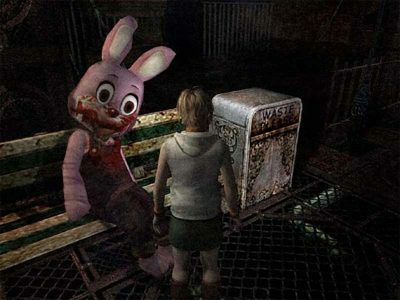 This predates Resident Evil’s dual character gameplay, in which the player must initially make a choice on who they’ll control, though it has little effect beyond initial plot points. The players find the mansion riddled with horrific creatures, weird puzzles, and limited healing items and firepower, but can use their wits to annihilate certain enemies. But only certain enemies, as some monsters are completely indestructible. Plot elements from the first game would tie directly into Shadow of the Comet, another Lovecraftian mythos title, though beyond some plot connections, it’s only loosely tied to the series. From there, the series went downhill fast. 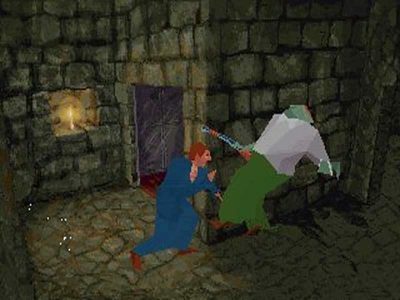 Disputes among staff led many of the game’s key development staff to leave Infogrames, resulting in a sequel that was more focused on action, with a poorly implemented combat system and a plot featuring a mansion known as “Hell’s Kitchen” and mobsters who are actually the ghosts of pirates. Grace Saunders, the kidnapped girl in Alone in the Dark 2, received her own short game, Jack in the Dark, which was a puzzle-heavy adventure game. Alone in the Dark 3 changed settings to the Wild West, where Carnby takes on evil zombie cowboys. It served as the end of the original trilogy of games. Alone in the Dark: The New Nightmare was an attempt to update the original game in the modern era, making for a spinoff that is not directly connected to the others. Carnby is sent to Shadow Island to find three stone tablets in an attempt to find out what happened to his partner. He is accompanied by Aline Cedrac, a university professor also interested in studying the tablets. But their plane is attacked by a strange creature, and they crashland on the island. While inspiring the film, this film had little to do with the overall series. The next game, Alone in the Dark, is a continuation of the original trilogy set in modern day. Carnby wakes up about to be killed with amnesia, and must battle his way through New York against strange demonic forces. While the original release had several bugs, the PS3 release, Alone in the Dark: Inferno, fixed many of these problems. Poor reviews of the title led Atari to threaten lawsuits against several websites, saying the final version of the game was not available when their reviews were published, claiming they had used illegally downloaded copies, which the sites denied. Alone in the Dark has also spawned a comic book in France, Spain, and Italy, known as “Life is a Hideous Thing.” Uwe Boll directed the film Alone in the Dark, with plot elements similar to the spin-off title The New Nightmare, though also different, so it is not part of any official storyline. It holds the Guinness Record for “Lowest-Grossing Game-Based Movie.” A sequel film with little connection to any of the rest of the series was also released. There has been speculation of another game in the series, though nothing concrete has been said yet. This survival horror series mostly composed of point-and-clicks is the video game equivalent of the Slasher subgenre of horror films, specifically Dario Argento’s Phenomena, and fans have noted connections to other of Argento’s works. It’s one of the few series of point-and-click horror titles still around today, though not without some major changes. In the Clock Tower games, you play a young girl who’s being chased by a psychopath, be it Bobby, the Scissorman, or the myriad of other maniacs in the series. 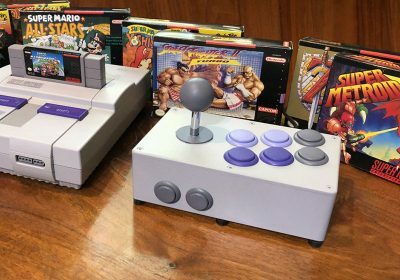 The first release was put out by Human Entertainment in 1995 for the Super Famicom, the only title in the series never to be released outside of Japan. In Clock Tower, you are generally unable to defeat the murderers who are hunting you. Instead, you must run. And hide. Because if you’re caught, you will die, usually in an extremely nasty way. Meanwhile the characters around you are getting butchered left and right, and there’s really nothing you can do about it. The Clock Tower series is all about making the player feel powerless, and they definitely succeed. And your actions may drastically affect the outcome: the first game in the series featured 9 endings, and both the second and third games featured a multitude of endings. But Clock Tower 3 was a significant departure from the rest of the series. In 1999, Human Entertainment would close its doors forever, selling the rights to the Clock Tower series to Sunsoft. Sunsoft would then take drastic changes to Clock Tower, changing it from a point-and-click to a third person adventure game, though it did keep the basic “run and hide” gameplay of previous titles. It also dropped the multiple endings of previous titles, incorporated multiple ghostly murderers, and implemented a boss battle system where the heroine must bind the murderer’s soul and then pop them with a holy arrow shot into the sky. Factor in a hokey time-traveling plot that can at times make the hardened survival horror fanatic cringe, and you’ve got a different experience, though still an enjoyable survival horror title. Capcom helped publish Clock Tower 3 and then took control of the series, beginning work on a similar title tentatively known as Clock Tower 4. Eventually this game would see release as Demento in Japan, or as it is better known in the rest of the world, Haunting Ground. Capcom has made no further announcements about games in the series, though independent developer Manyson Software is currently making a PC remake of the first title, called Remothered. A film has been in the works for years, but it currently resides in development hell. George Romero’s Dead series is perhaps the most apt film comparison to what is arguably one of Capcom’s and survival horror’s most important video game series, if not all of gaming. Not only are three of Capcom’s five best selling games in the Resident Evil series, the first title christened the genre it would come to both champion and potentially destroy. Featuring tank controls, limited ammunition, pre-set camera angles, limited ink ribbons for saving, freaky monsters, and death traps, Resident Evil made for a terrifying release and helped prove that Sony had the adult image an aging crowd of gamers was interested in moving to after Sega’s ad campaigns in the 16-bit days had made Nintendo look “kiddy.” And with every fired bullet and moaning zombie, Resident Evil infected its way into our hearts. The gameplay of Resident Evil would become so standard in the genre that many survival horror titles would be labeled “Resident Evil clones.” Capcom even reused the formula to make their Dino Crisis series and kept the system going until well after the death of the Dreamcast, when they finally changed the formula with Resident Evil 4. But the ease of controls, the emphasis on action, and the over-the-shoulder perspective would drive some fans to feel the series was no longer about horror, instead labeling them generic action games with some horror overtones. And survival horror in general would begin evolving away from the clunky combat of yesteryear, leading some fans to claim the genre was dead. Resident Evil 5 would only further cement the feeling. Yet the Resident Evil series had developed in other ways. While the Gun Survivor series was panned by fans with its track system, the light gun would stay important, eventually making the jump to the Nintendo Wii with the Chronicles series. Capcom played with online connectivity and common folk surviving the zombie apocalypse with the Resident Evil: Outbreak games. 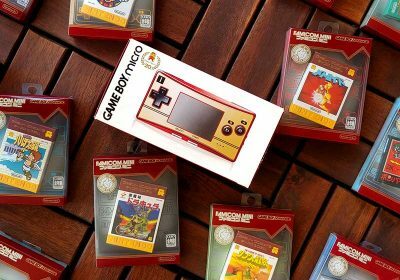 And the handheld and cell phone markets would see numerous titles, such as the pseudo-RPG Resident Evil Gaiden on GBA, the turn-based strategy game Resident Evil Confidential Report for mobile phone, or Resident Evil: Deadly Silence, a remake of the first title for Nintendo DS. And that’s just one of a variety of remakes and updates to the first game, which includes Resident Evil: Director’s Cut – Dual Shock Version for the PSN and Resident Evil, the Nintendo Gamecube remake. Resident Evil has also seen success in merchandising. Action figures, t-shirts, a series of live action and CG movies, comics, novels, lighters, soundtracks, the list goes on and on and will continue to grow. Capcom has started work on Resident Evil 6, while two handheld and one cell phone title are also in the works, as well as a new movie and who knows what else. Characters have also appeared in numerous other Capcom works and will continue to do so, such as series star Chris Redfield being a playable character in Marvel vs. Capcom 3. The Jacob’s Ladder of survival horror games, the Silent Hill series breaks the mind and warps the soul…in a good way of course. The original Silent Hill from Konami was labeled the “scariest game of all time” when it was released, and with some gamers the claim still holds true. These games are about psychological torment, generally as it relates to spiritual torment: it’s screwing with the characters’ heads, and by some theories, their souls. Perhaps every main character in the series is actually locked away in their own personal hell. The important thing is that while we can theorize, we don’t really know. Maybe it was just a bad day to take a late vacation. And perhaps that weird fleshy sack you just beat down with a metal pipe is actually an angel, and you’re just not devout enough to see Heaven for what it really is. If you’re not confused, then you’ve played a Silent Hill game. What we do know is that the series has fluctuated in how it handles gameplay, though it has stayed relatively true to its roots: the third-person camera angles switch between player control and fixed places, depending on the locale, the heavy reliance on puzzles over clunky combat has swung back the other way to a heavy reliance on clunky combat over puzzles, only to then revert back to focus on puzzles with the remake of Shattered Memories, and the monster design has remained consistently bizarre, though the plots aren’t always the best and there’s now an over reliance on the Pyramid Head-esque figure, if not Pyramid Head himself. But gameplay has changed over the course of the games. The fourth title proved the first major change, dropping the concept of openly wandering the town in lieu of a trapped existence in a homely hiding spot that soon ends up haunted and harrowing. Wandering towns came back in 0rigins, but the combat system changed radically to emphasize fighting, allowing the character to grab just about anything. Homecoming saw a combo system implemented in combat, and then Shattered Memories dropped combat all together, forcing you to RUN as fast as you could. Starting with 0rigins, the games have also not been directly handled by Konami, with fans lamenting a change in quality for the worse in the plots and characters (this is also where the Pyramid Head trope suddenly came back). The series has seen considerable success, with several spin-offs ranging from cell phone games Silent Hill: Orphan and Silent Hill: The Escape to the light gun game Silent Hill: The Arcade, as well as the GBA text game Silent Hill: Play Novel. Several comics and a film were released, though the impression of quality varies depending on who you talk to. The film has also had a considerable impact on the series, as the later American-made games pull certain gameplay elements and plot points directly from it. To keep track of everything, a UMD known as The Silent Hill Experience was released for PSP in 2006 in the US as a lead up to the film. Development has begun on another entry in the series, currently known as Silent Hill 8. Keeping with the movie associations, Fatal Frame (Project Zero is you’re in Europe or Australia, or Zero if you’re in Japan) is a lot like 13 Ghosts. You’ll be attacked by different spirits that will stalk you through the haunted halls, and you’ll be using a special viewing device to fight against them. Only in Fatal Frame there’s a lot more than just thirteen of them, and the camera obscura puts you in a first person view, so you’ll have to be willing to stare down the spirit of someone who’s been twisted or mangled in some horrible way. The blinded girl’s bleeding eye sockets and screams still give me the creeps. The games feature female protagonists wandering through haunted Japanese locales armed with only ancient 19th century cameras to fend off the ghostly horrors. The plot revolves around bleak Shinto rituals that usually go horribly wrong for everyone involved because somebody screws up a crucial element of the ceremony. The games are extremely dark and dreary, and the developers at Tecmo were more than happy to use their ghosts to the best of their abilities, so you’ll see freaky horrors that walk through the walls or appear for a flash and vanish. Open a door, and a ghost might be standing there. Look outside, and one might wander by a window. Open a chest and find one packed inside. They’re everywhere, and they will walk through walls to get to you, or even worse, vanish and then reappear behind you. And to fight them, you have a camera. There’s actually an intricate combat system in place, involving the use of upgrades and better film, framing the shot, timing the shot, and using special features to help dispel or at least repel a ghost for a while. The camera takes you into first person view, which not only forces you to face the horrors, but also narrows your field of view, so you can’t watch your back: lose sight and you’ll frantically have to find them again or run(running is best). To perform a critical hit, you have to wait until the aperture grows read, which generally happens only when you’re about to get hit. And certain ghosts are also randomly encountered, so even if you clear an area, they can and will come back. While the series has been well received by reviewers and fans throughout the world, not all the games managed to make it out of Japan. With the merging of Tecmo and eventual disbanding, Nintendo decided not to release Fatal Frame IV in any region beyond Japan. The only spin-off game in the series, Real: Another Edition, was a 2004 cell phone game also released only in Japan. 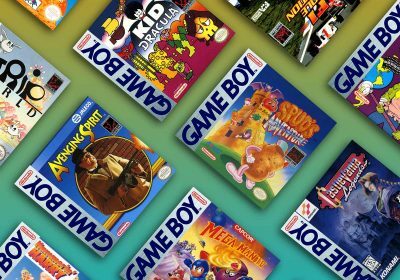 And with the end of Tecmo, it is unknown if the series will ever see a new release. 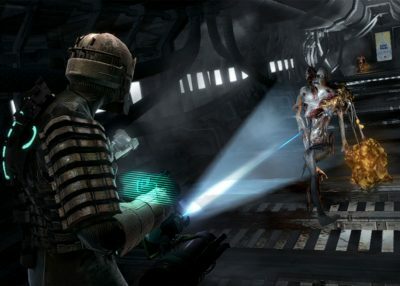 The video game equivalent of John Carpenter’s The Thing mixed with the Warhammer 40,000 game Space Hulk, Dead Space features freakish mutations of dead humans that roam a derelict space craft which just happened to have discovered a marker that a new human religion centers around while illegally mining a planet. It’s a gory series from Visceral Games, with lots of bloodshed and forced dismemberment of the enemies using futuristic weaponry as you run around said derelict. In other words it is a perfect representation of what the modern survival horror title has evolved into, with a heavy focus on action and combat and less emphasis on puzzles while keeping the horror atmosphere of the genre. The games have stayed survival horror but jumped genre archetype (as per the norm with survival horror), switching between third-person shooter, light gun shooter, and even an upcoming text adventure. Enemies come at you from all angles, climbing along walls, dropping from ceiling vents, pretending to be dead, etc. Light and shadows are effectively used, the game utilizes visual and auditory clues to draw the player’s attention from things sneaking up on them, and battles sometimes involve fighting enemies in a vacuum, fending off critters while trying to maintain a safe amount of oxygen and ammunition. There’s also plenty of ways to die, and death animations abound, some quite impressive. Add to it a sense of isolation and, at times, claustrophobia, and you’ve got a quality survival horror series for the current generation. The series has already spawned an animated film and comic book, and the soundtrack is available to purchase. While the games share a continuous story, Visceral Games has proven willing to release them out of order, giving opportunity for the series to continue to develop on both ends of its timeline. Two games in the franchise are currently in the works: Dead Space Ignition, a text-based adventure featuring playable minigames, and Dead Space 2, a third-person shooter similar to the original release. Dead Space is the modern survival horror, allowing the freedom of camera and controls and gorgeous graphical detail of the current generation while keeping the horror vibe of the classics. 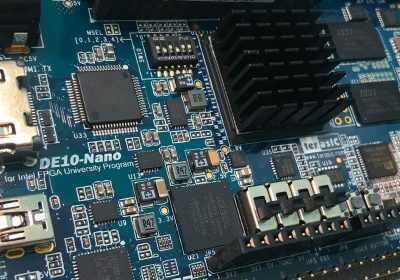 It’s definitely one to watch develop in the upcoming years. While these games are important to the genre, they just don’t make the cut as “defining” titles. Still, they’re worth checking out for those that want to expand beyond the basics. D – While the rest of the loose series featuring digital actress Laura may not have defined the genre, D is worth mentioning for its 3D FMV gameplay, its position as one of the earliest PlayStation horror titles, and its multiple endings. Dino Crisis – Capcom’s dinosaur-based survival horror series started out almost identical to Resident Evil, except it features Velociraptors instead of zombies. Fans of Resident Evil should definitely take a look. Eternal Darkness: Sanity’s Requiem – Utilizing an intense sanity system that targets the player instead of the character, Eternal Darkness goes above and beyond in terrifying whoever plays it. And the Lovecraftian plot sweetens the deal. Halloween – Based on the popular slasher film, this Atari 2600 game is a precursor to the Clock Tower series, featuring a baby sitter who must rescue children before the killer gets his hands on them. Haunted House – This Maganvox Odyssey title was more like a two-player board game than a survival horror title, but its release at the forefront of console gaming was the first time that supernatural and horror themes appeared in a video game. Overblood – Overblood mixed science fiction and horror and marks the first time console survival horror used 3D backgrounds, as opposed to Resident Evil’s prerendered backgrounds. Siren series – Considered some of the most difficult survival horror games ever made, the Siren games are stealth-based survival horror, in which the player must be sneaky while trying to escape the sleepy Japanese village Hanuda, or else face the hideous wrath of the undead shibito. I could be wrong, but I thought the Saturn had a role in survival horror as well. Deep Fear was only released on Saturn im Europe and Japan, but I hear it’s really good. Saturn also had a version of Resident Evil, a version of D, Alone In The Dark 2, and the games Dark See and Dark Seed 2 released in Japan. It’s a little too early to tell for sure, but I think that Amnesia: The Dark Descent (a follow up on the Penumbra series) will need to be in this list. It is the scariest game I have ever played. You mean George. George Romero. Oh wow, I did. That’s embarrassing. Thanks for the head’s up. Well, embarassing I guess, but also entirely understandable. You can’t write about video games without J. Romero’s long, flowing locks of hair and unfounded promises of Daikatana’s brilliance filling your mind. At least… I can’t! Also, seconding Amnesia and Penumbra. They are good, solid games. They do a good job of scaring you without needing brawlin’ or fightin’. I haven’t gotten the chance to play Amnesia yet, but I actually played through the Penumbra Trilogy about three months ago. I was highly impressed, and I feel it handled the subject matter perfectly. But while writing this article I tried to only consider the truly big names in the genre that even non-fans would know about, and I feel Penumbra lacks the notoriety. That said, I was also contemplating the genre’s Hidden Gems article while writing this, and Penumbra will definitely be one of the top headliners there. How on earth could you not include the Ecstatica series? You have to include Bioforge in this list, and Call of Cthulhu. I like the write up on Haunted House for the Atari 2600. 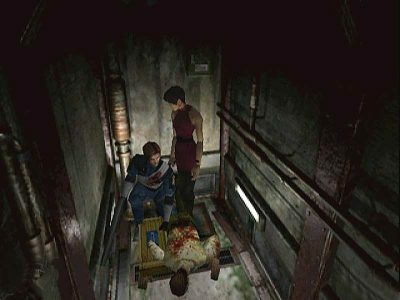 It’s been so many years since I have played it, I forgot that it does have some of the basic elements of survival horror in a very primitive form. Also, Sweet Home is a title I am unfamiliar with. I’m going to have to track it down. Dino Crisis series – Three main games, two on the PS1 and one for the Xbox, and one rail shooter, all featuring survival horror with dinosaurs! Deadly Premonition – Pretty much the greatest B-movie game ever. Twin Peaks + Resident Evil 4 shooting segments + an open city full of goofy people to talk to. This game is twenty dollars and fantastic. For the Xbox 360, soon to have a PAL localization released. Barouqe – A sting RPG, which is a remake of a Japan-only Saturn first person rouguelike. The game is now a third person rogue like, with some of the most interesting character designs ever in a game. Truly something fantastic to see these things. Disaster Report series – Three games so far, with a fourth on the way. Only two have localizations on PS2, Disaster Report and Raw Danger. Rather than fight monsters, you’re trying to survive natural disasters. In one game an earthquake and in the other a massive flood, both of which make for a unique horror experience. The Suffering series – Two games on Xbox/PS2, you’re a in a prison over run with demonic monsters and you yourself may or may not be transforming into one of these monsters. It is implied that some of the things being seen aren’t real, which makes for a really interesting game. Some great monster designs, fun third person shooter gameplay, and excellent storyline make for a great game. I have not played the second yet. The first game is now freeware as well, from the US Air Force, which doesn’t make sense, but there it is. Onimusha series – A samurai version of Resident Evil. The first two games even use the same fixed angle camera. The major difference is that the gameplay is focused on sword play, more like a beat em up, instead of gunplay. There are ranged weapons, but they aren’t as useful as the swords. 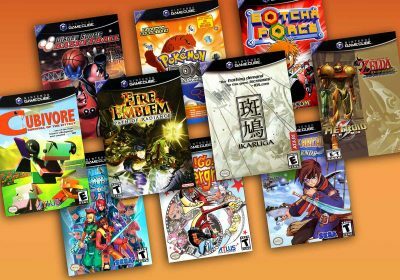 I like these games a great deal, there are four main series games, one fighting spin off, and a handheld tactics game. Mostly a PS2 series, although the first game has a Xbox port. I have tons of other titles I’ve not played that I am lookign for, which you might also find obscure and interesting: Illbleed, Haunting Ground (which started as clock tower 4), Soul of the Samurai, Michigan: Report from Hell (which is localized only in the PAL region), Fatal Frame 1-4, Condemned 1 & 2, Pathologic (for PC), Shellshock Vietnam, Rule of Rose, cold fear, and Call of Ctthulu are all names thrown at me that I’ve not tried yet myself. Great work Ack! – a great addition to Racketboy. No System Shock 2 though? SHODAN would not be pleased. Shouldn’t Castlevania get some credit in this genre? How about Deep Fear for Saturn? A well made game, very playable even after all those 12 years. I’d recommend Hell night/Dark Messiah. It has various issues (bad graphics for one), but if you like horror games this will probably be up your alley. It’s a lot like Clock Tower in that you can’t fight back and is really scary. How exactly is Castlevania survival horror? It’s an action/adventure game with classical horror monsters. In no way is it a survival horror game. Galerians (Playstation) will STILL be my favorite horror survival game – which you missed btw. 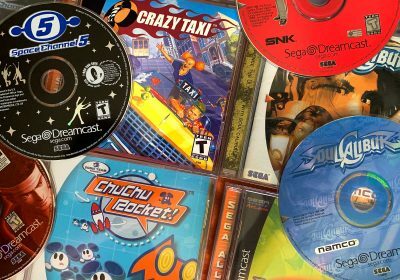 Yes, Sega Saturn had a few horror titles worth mentioning. Besides Alone in the Dark I/II and D – they had Deep Fear, Lunacy, and Enemy Zero. Great job as usual Ack! Wow, Dead Space is defining survival horror and Dino Crisis is an honorable mention? That’s crazy. Dino Crisis was one of the first titles to be set in full 3D, and featured RPG elements not common in the genre. Dead Space is more action much like Resident Evil 4. Also where is Parasite Eve? The first is a mix of RPG and survival horror, but the 2nd was all horror. I enjoyed this article a little more than I thought I would. One of my favorite gaming memories is when my friend got Resident Evil (I was an impressionable preteen at the time) and we started playing through together — his older brother was with us once, and recognized an upcoming horror trope. At the EXACT RIGHT moment that a flock of ravens crashed through a window, my friend’s brother lunged toward us and screamed. … I have rarely been so startled. How about Alan Wake? I thought the series would be at least in honorable mentions. Otherwise, I love your site man, keep up the good work.